Home > Blog > Book Meet & Greet Parking to avoid Airport Frets. Book Meet & Greet Parking to avoid Airport Frets. Never travell without a Parking Plan. If you abide by this simple rule, you will be enjoying all your trips in a much better way. But if you fail to make time for outlining a parking strategy, then aside from not being able to make the most of your travels you will troubled and stress-full. So, in case you have a trip coming up; better start planning for airport parking right away. 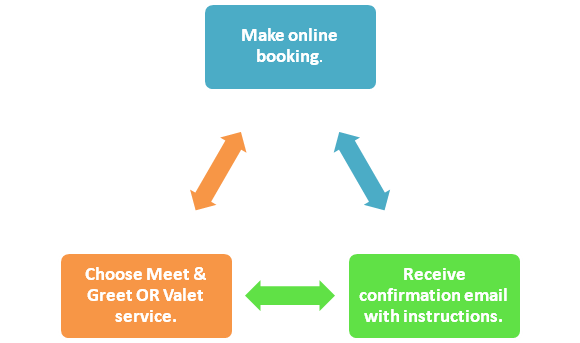 By getting parking reservations done will allow you to focus on planning the rest of your journey easily. You will be provided with the proper instruction for departure and arrival day. So, make you booking and get comfy looking forward to an amazing trip. No obsessing over your vehicle security. Your vehicle is confined at a secure facility at all times. You can rely on the service of Mobit Airport Parking with the 100% certainty of vehicle’s safety. Enjoy the fervency of assisted travelling via preparing well in advance for your journey. Hand over the parking and care taking responsibilities of your car to us. Be free to go on your trip leisurely and take in the pleasures of remarkable assistance of a comfortable and reliable service. Previous PostThe Demerits of ill-Planned Parking.Next PostPower Cuts, Flight Delays and Compensation Claims. Gatwick Airport Parking Book Long Term Parking at Gatwick Airport. Greetings! Very helpful advice within this article!It's the little changes which will make the most significant changes. Thanks a lot for sharing!